We’ve seen a couple of videos now comparing the DJI Spark, but only using a phone as the controller. This means it has pretty limited range, and the handling isn’t that great. Of course, there is a separate controller available for the Spark, but it’s been “coming soon” since release. So, nobody’s tried it. Until now. Not surprisingly, Casey Neistat is one of the first to get his hands on the Spark controller. In this video he puts it head to head with his Mavic Pro. This is something he’s done before with a prototype unit. But now he has the retail release and it comes with the controller. Is it worth the extra cost? Or should you just save for a Mavic? Casey’s video should help to answer that question. I was lucky enough to be contacted at the end of April by OnePlus to be part of the shooting campaign for the new OnePlus 5. At the end of April, I received a working prototype of the OnePlus 5 and my duty was to test the camera, giving some feedback to the company and recording some nice pictures to use for the launch of the device. I’ve to point out that my prototype was hidden by a quite bulky white cover that was impossible to remove. In this way, I wasn’t able to have an idea of the final look of the device until I got my final unit some days ago. With the recent release of the Leica’s new M10 I noticed an interesting commonality amongst the reviews. Almost all of them tested the camera in sunny, dry, or interior environments. Now I understand that Leica’s are expensive cameras and that reviewers and owners may not want to risk their equipment, but it strikes me that it might be worth knowing what kind of abuse these cameras can take given the high price they command. Additionally, I’ve seen Leica’s treated with a sort of reverence that often influences the types of shots photographers are willing to risk taking. And it strikes me this reverence may be preventing some from fully taking advantage of what the camera can offer. Furthermore, if all you see coming out of Leica reviews are sunny shots in a neighborhood park, low light shots of a guitarist at a hip venue in Austin, or converted black and white street photography from an afternoon stroll around Florence, then you may come to think that’s what a Leica is for. For photography that is safe, secure, dry, or climate controlled. The fact that I’m writing this review is the result of someones slip up, a happy accident and unexpected windfall for a mate. The VILTROX NF-E mount Focal Reducer Speed Booster. 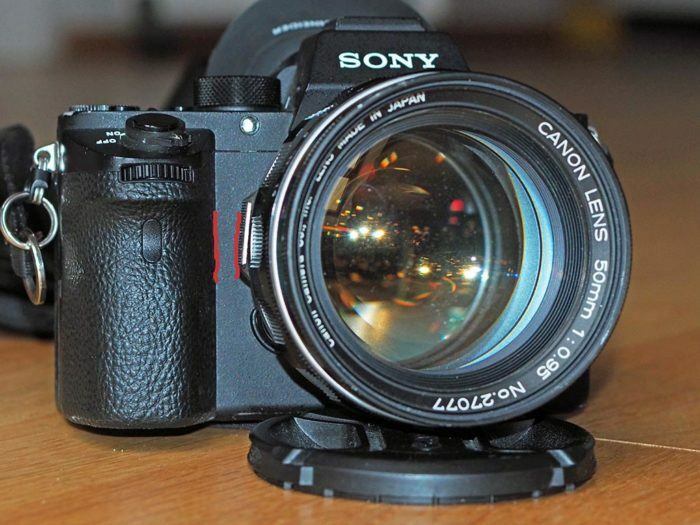 Here’s the backstory, a close friend ordered a Viltrox basic adapter to use Nikon Ai lenses on his Sony A6000. We got him a great price on eBay, about $32.00 as I recall, and the adapter promptly arrived almost exactly on the due date. It sat on his bedroom cupboard along with a little Nikon 35-70mm zoom he bought at the same time for several weeks, then a few days ago he finally brought the camera/lens/adapter combo to the coffee shop so I could show him how to shoot using manual focus with his A6000.